Artist Lindsay Pickett has prints of his artwork available here on this wonderful site. 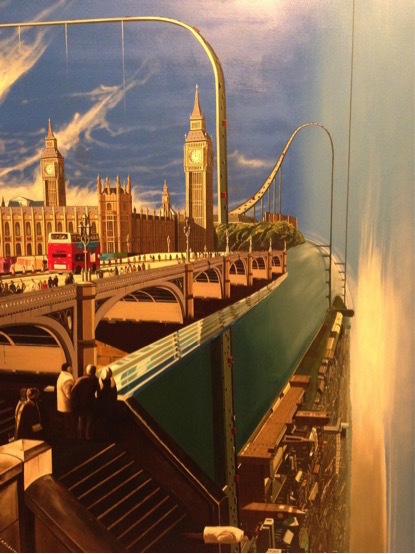 They feature landscapes of the London skyline with a difference. Each image can be viewed in two ways and so in a sense when you buy a piece of his genius, you get two for the price of one! 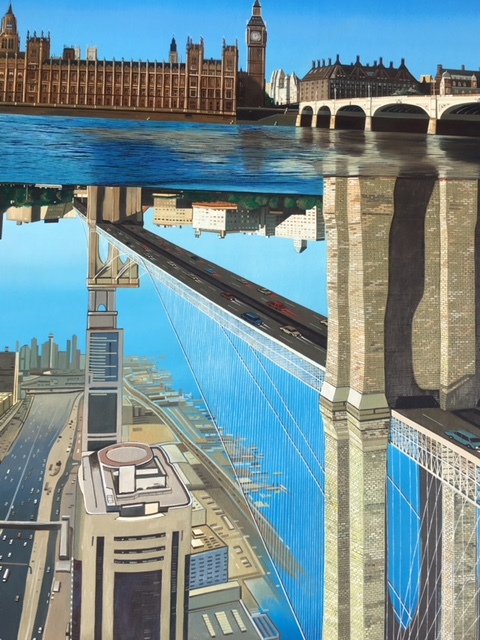 As well as producing art on a near full time basis, he works part time as an art tutor in various adult colleges, will be going on to study an MA Fine Art course in September 2018 and also offers private tuition at £20 per hour and can travel anywhere in London. 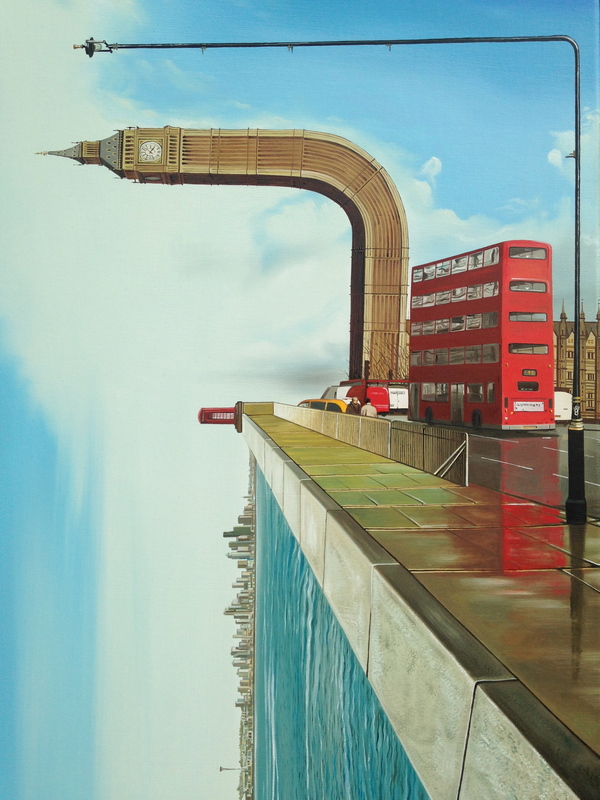 The historical influences in his work arises from Surrealism and fantasy art. Hieronymus Bosch, Pieter Brueghel, Rene Magritte and M. C. Escher are also influential. With Escher, metamorphosis is a recurring theme as it is with Salvador Dali and this drew him to their work. His painting practice started when research into Hieronymus Bosch and Salvador Dali took place. 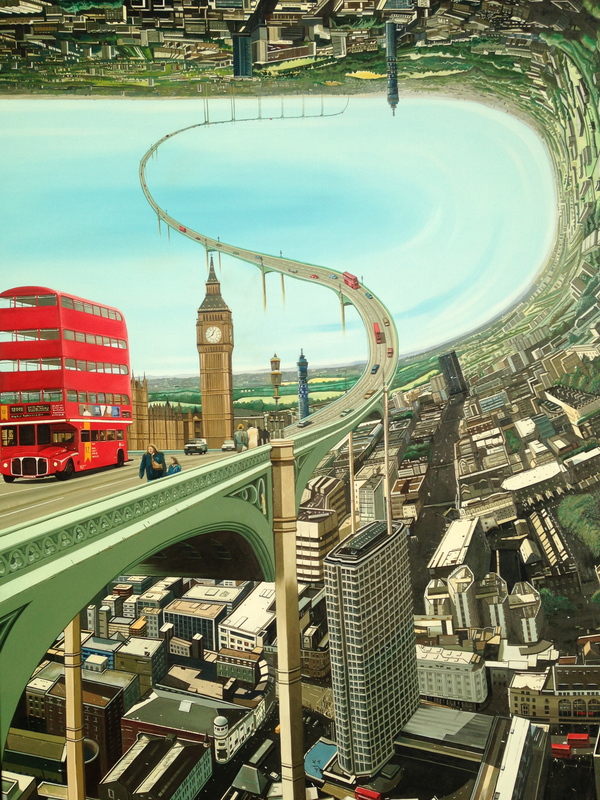 His own contemporary concerns include the use of warped cities and impossible landscape that otherwise do not exist in reality. They usually depict a recent dream he had about them or general experiences in his life as a whole. He also looks at fantasy artists who paint images for science fiction illustrations and particularly like looking at the alien landscapes they create, artists such as Wayne Barlowe, Jim Burns and Stephen Youll come to mind. 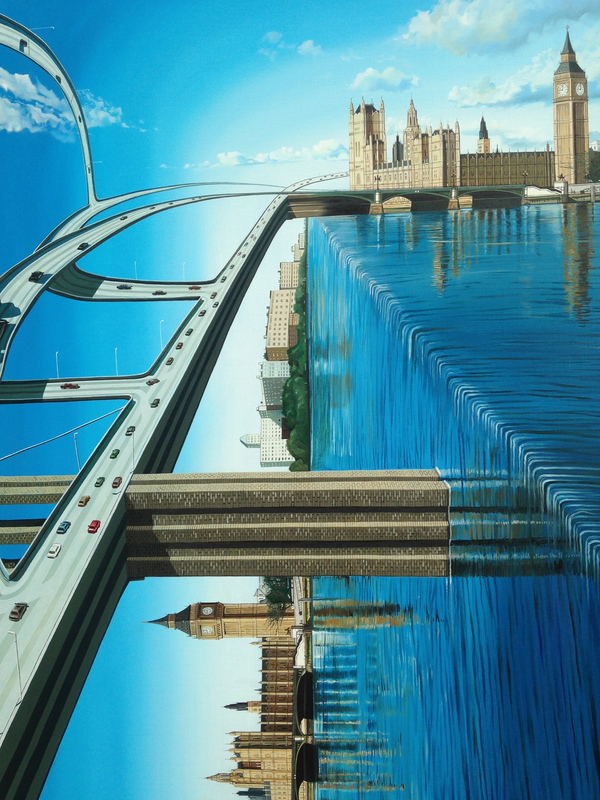 More recent works have included warped city landscapes which are his current subject matter. I have a few prints of Lindsay Pickett's and really appreciate them because they are original and different. I enjoy their sci-fi look, as if you are looking at the cover of a sci-fi novel but one set in familiar scenes of London or Paris.